As the world burns away in political crises and ecological catastrophe, writers strain against meaninglessness, against the sense that their work is nothing more than a few grains of confectionary sugar tossed to a howling wind. What forms might fit our time, what stories might we tell against a future of no-one left to listen to stories? 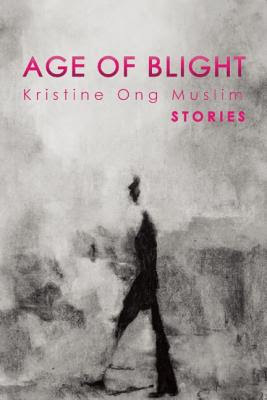 No other label for where we are and where we’re going as a world seems quite so accurate as the one Kristine Ong Muslim has used for her recent collection of stories, The Age of Blight. It is a book of glimpses, shards, and lost myths; it works like a nightmare recollected during the day before you know the nightmare will return and sleep cannot be kept at bay indefinitely.